FIND A WELLINGTON DENTIST IN YOUR LOCAL SUBURB! Every dental practitioner listed in this guide is a member of the Wellington branch of the New Zealand Dental Association. This means they are dedicated to providing the highest standards of professional responsibility for quality and care. 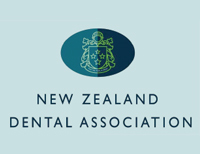 For information on dental health issues and services, contact your local NZDA dental practitioner.